From beginner to accomplished player, Sheryl is committed to equip each student with solid fundamentals, confidence and a practice plan for success. Sheryl helps her students develop a swing based on their natural abilities and body types. The goal is to create or enhance a swing that is “perfect” for the individual, not necessarily a search for the “Perfect Swing.” With Sheryl’s advanced TPI (Titleist Performance Institute) certifications she is able to look at the golf swing through the lens of how the body works. 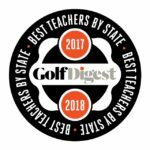 With her advanced Coaching and Junior Certifications, she brings a comprehensive approach to game improvement~ you will get more than just a “quick fix” type of lesson! It is important that you leave with a clear understanding of cause & effect and then a game plan to make changes and improve! Supervised Practice Sessions and Transfer Training are keys to Sheryl’s Coaching Programs & lasting game improvement! 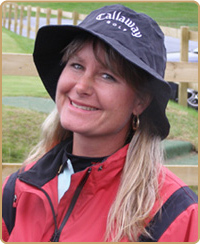 To Schedule a Lesson please contact Sheryl by email at: sheryl@amaizinggolf.com or call/text: 612-802-1691 Texting is the fastest and best way to reach Sheryl. FREE Youth & Family Golf Special Event~ All ages & skills welcome! Adults & Juniors of all ages and skill levels will not want to miss this special event designed to highlight how much fun the lifetime sport of golf can be~ especially when it’s shared with your family and friends! Parents, grandparents and kids will have a blast participating together in fun golf games on the putting green, trying SNAG Golf and hitting shots at the giant inflatable Pink Hippo. There will also be a fitness station set up where parents and juniors can experience fun TPI motor skill drills and competitions. US Kids Clubs will be available to Demo and to order~ Juniors are encouraged to bring clubs if they have them, but we will also have US Kids golf clubs available to demo and explain how properly fit clubs can benefit your junior golfer. This day will highlight a sampling of what junior golfers experience during Sheryl’s various Amaizing Youth Golf Programs at Crystal Lake Golf Course. Mark your calendar and reserve your spot today for this “Can’t Miss” fun-filled Family event! Invite your family, friends & neighbors! Looking to soak in some Florida Sunshine without leaving Minnesota? Check out Sheryl’s “Amaizing” Golf Tips from Florida which aired on WCCO’s The Rosen Sports Sunday Show. Read an article on the LPGA website where Sheryl was featured in the Member Spotlight for the Southeast Section of the LPGA last Fall.